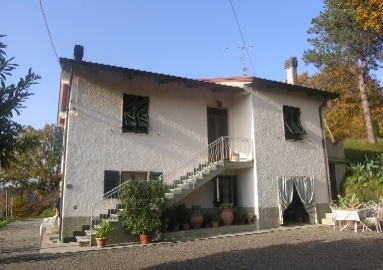 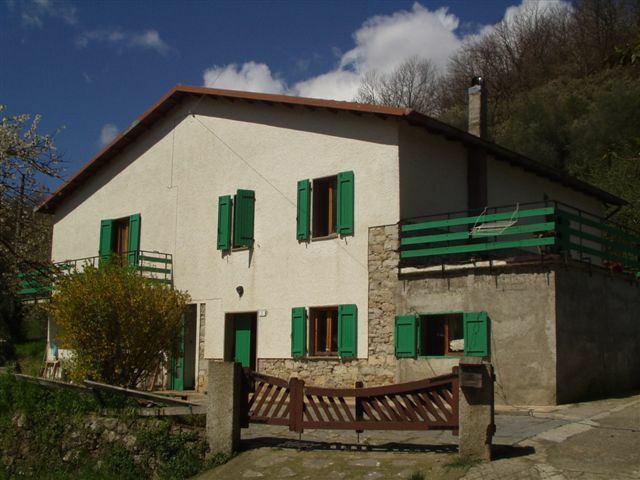 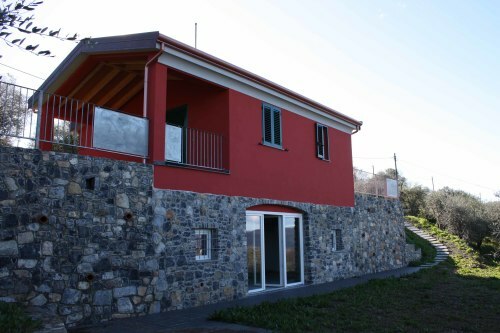 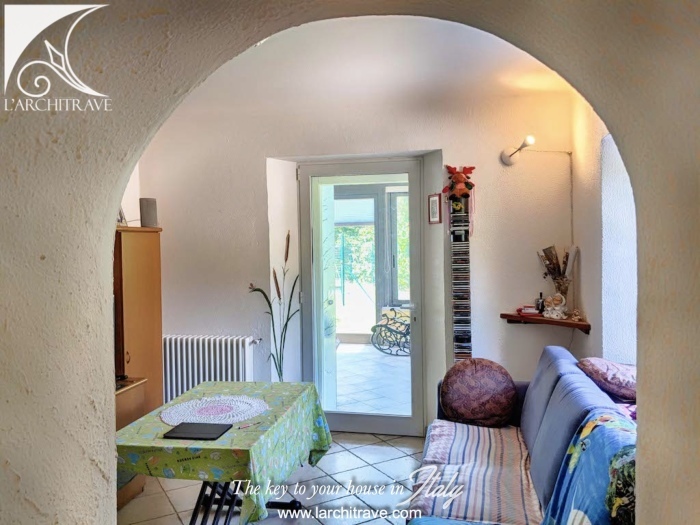 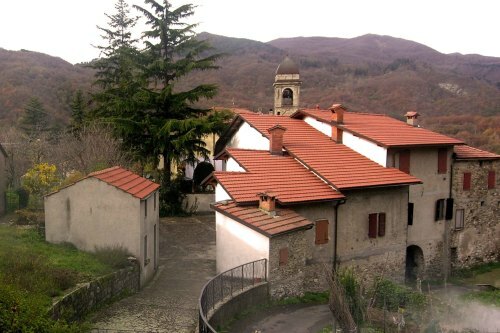 Detached three bedroom house with large terrace and views, set in the hills of Lunigiana. 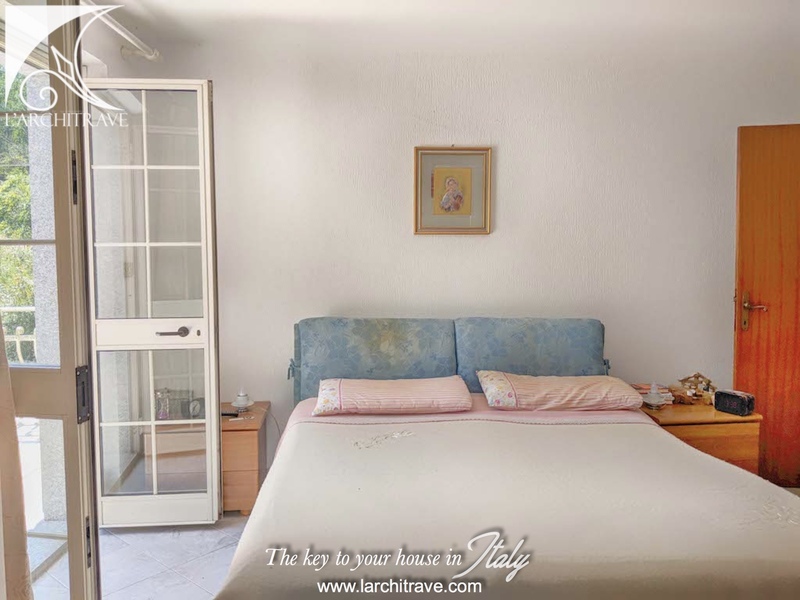 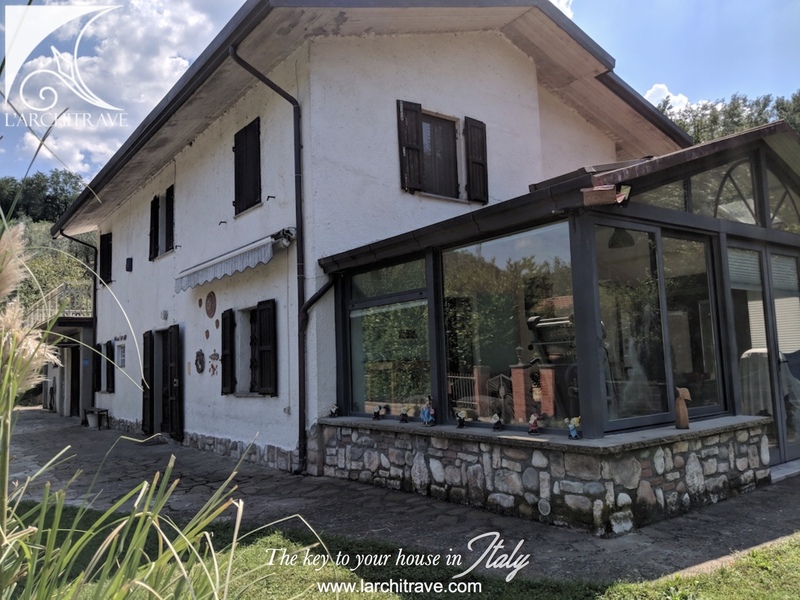 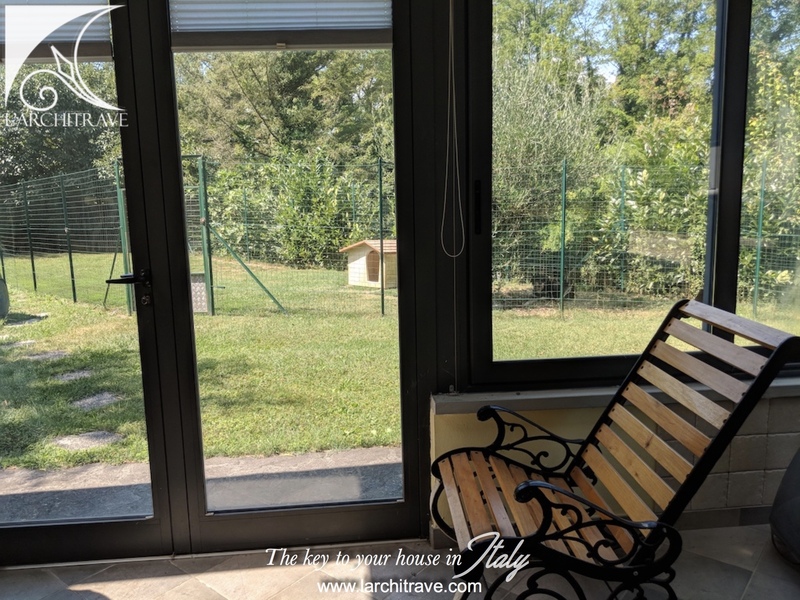 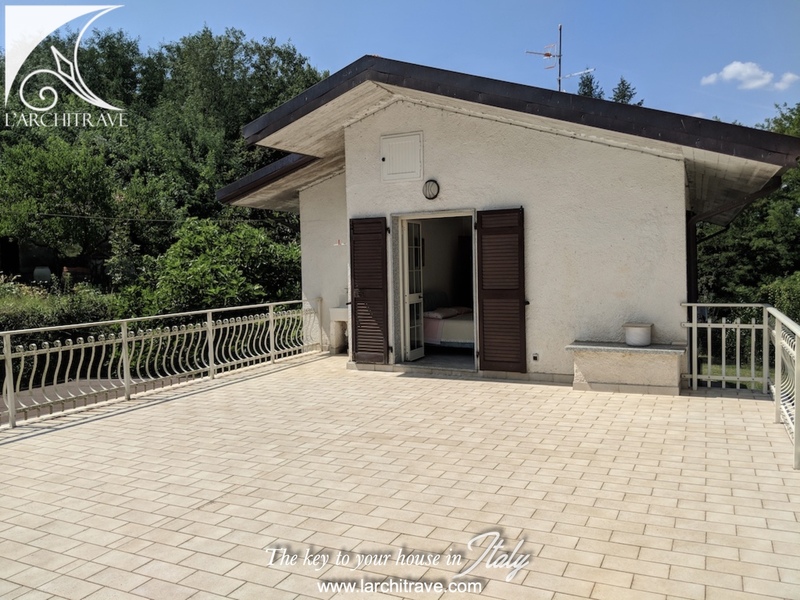 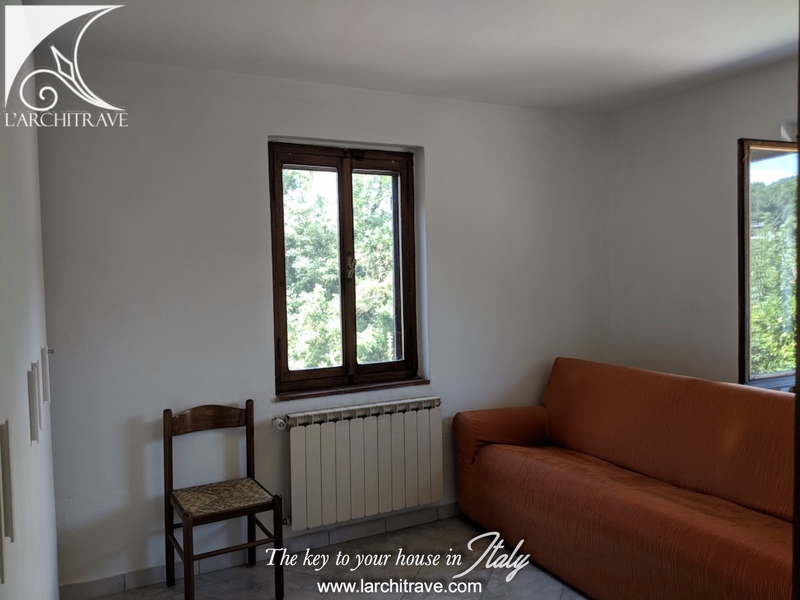 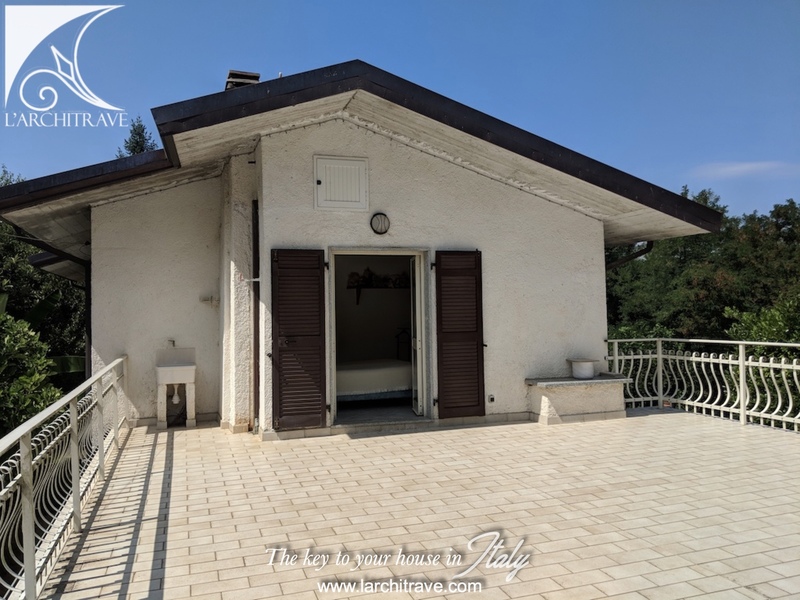 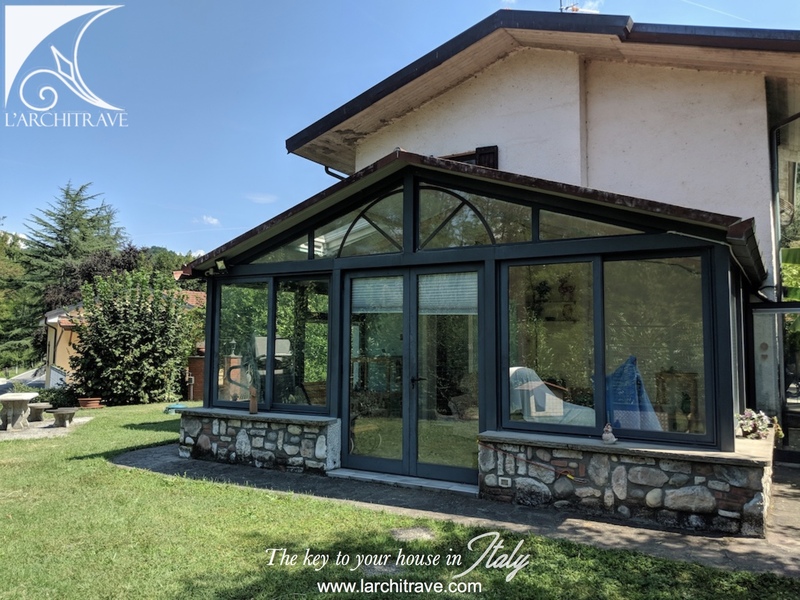 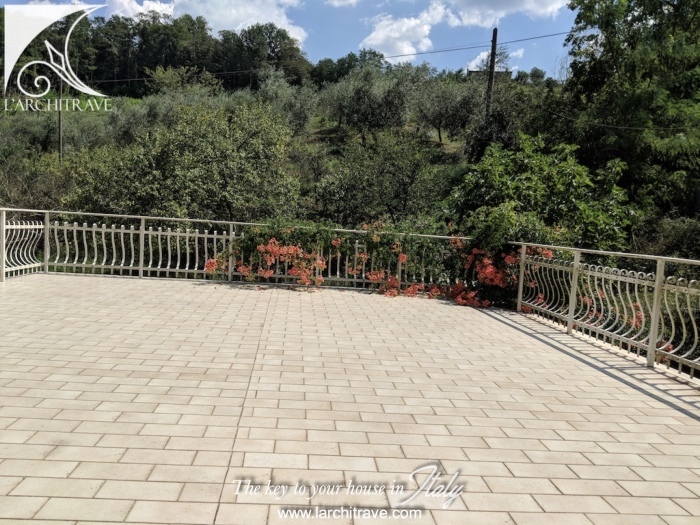 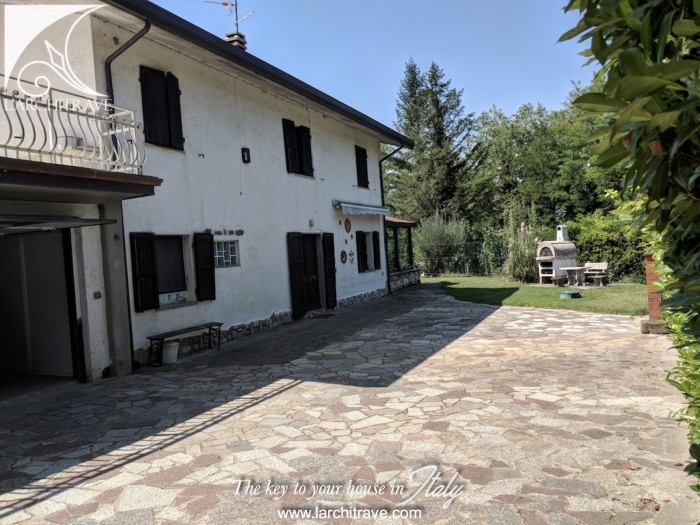 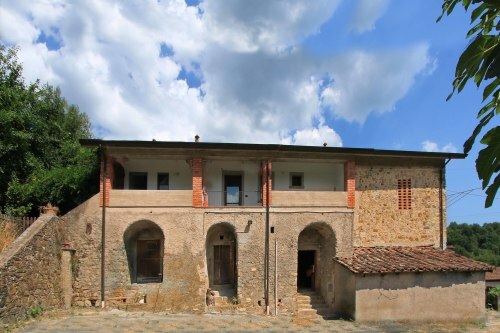 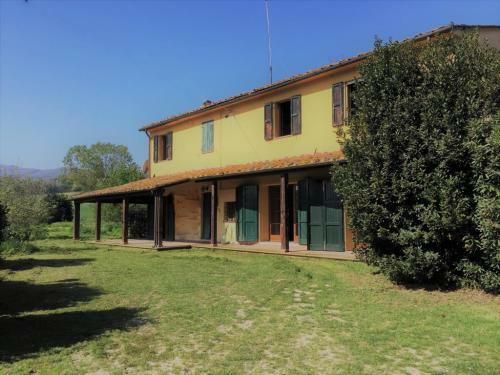 Spacious three bedroom house, in a beautiful location, with excellent access to both Fivizzano and Aulla. 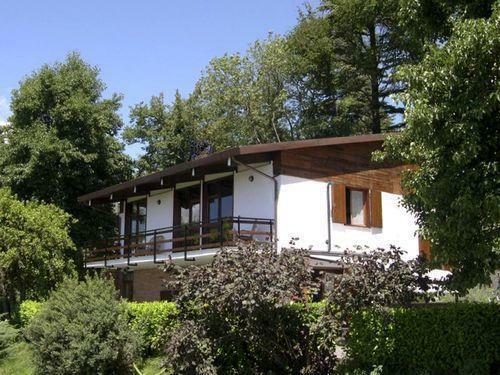 The house of 145 sqm, is spacious and well laid out. 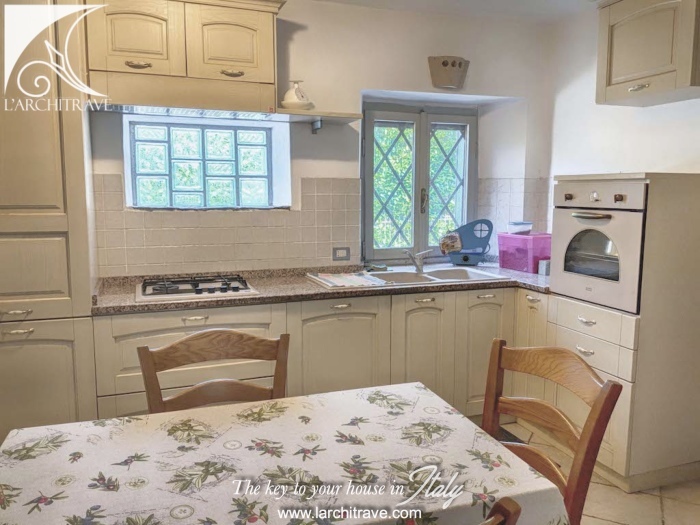 There is a well equipped kitchen easily large enough for a table and chairs to eat in. 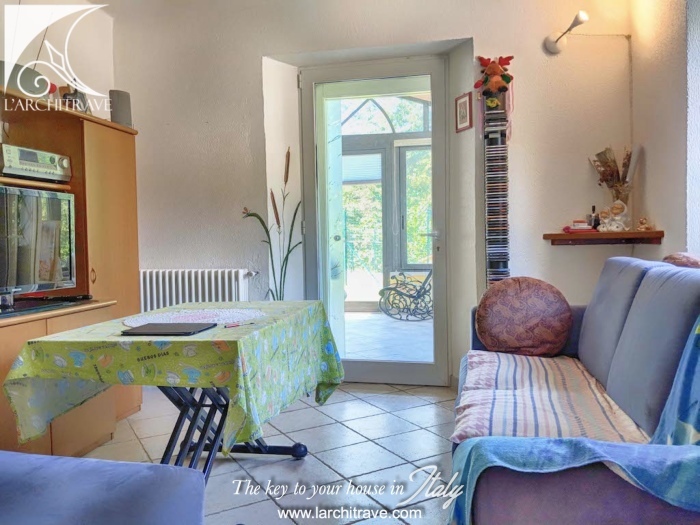 A smaller sitting room leads on to a lovely light conservatory, perfect for enjoying the evening sunshine. 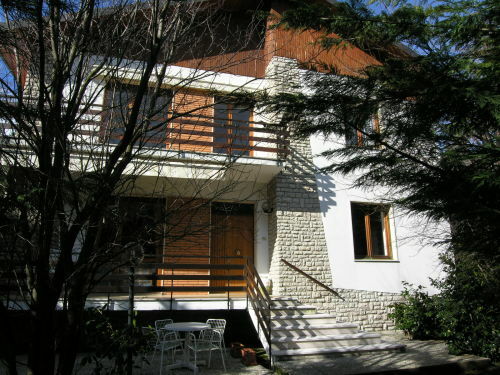 The solid central staircase leads up to the three bedrooms and two bathrooms. 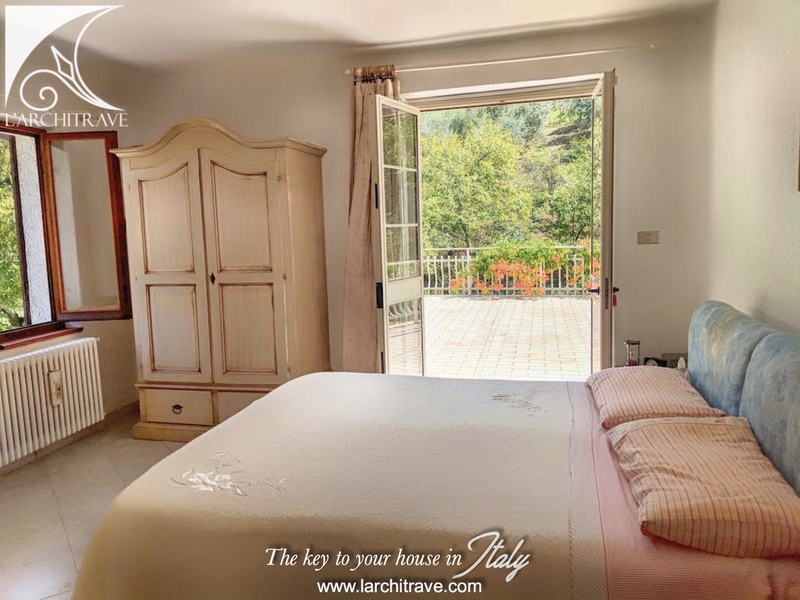 The master bedroom opens onto a large (30 sqm terrace), with a view. 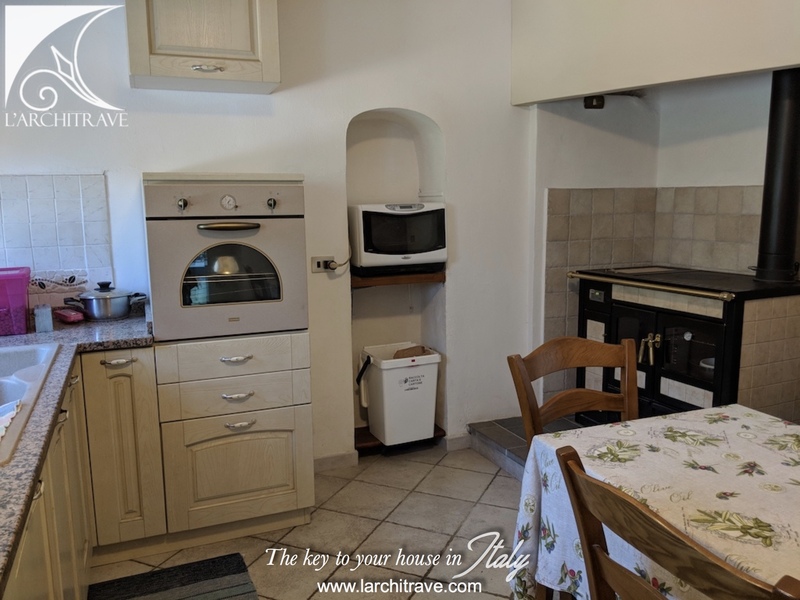 The kitchen houses a thermo-stuffa which provides central heating and hot water. 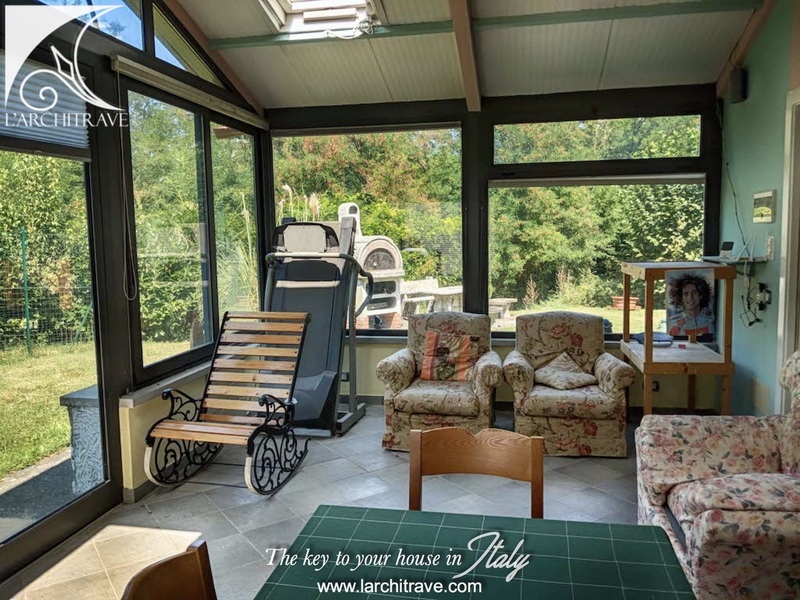 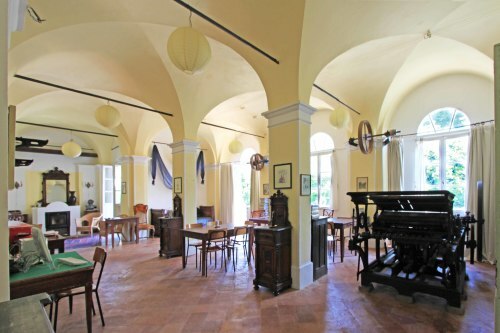 Outside is a large paved courtyard and BBQ area, and level lawned garden of 800 sqm. The property is located just 5 kms from Fivizzano and 12 kms from Aulla, on the Strada del Vino, a wine trail through the Lunigiana hills.